I am writing this post to give both you and myself some motivation as this past week my motivation has been zero!! I am actually appalled at the lack of exercise and control I have had over my diet, I have been a inspiration to no one this week, so I apologise to you, but mostly to myself! I need a good kick up the bum, and need to get my bum into shape! I have picked my favourite pictures from Tumblr this past week, to motivate myself and you. Who doesn’t love picture of girls looking fit and fab, while working out hard! And a good motivational poster always makes me want to go outside and run! I think my favourite picture this week is the Princess Tshirt.. I definitely need that to go running in… very cute! So this next week is a fresh start, I am sticking to my Festive Flat Tum Challenge calendar, and I’m going to incorporate my new Zumba game* into my workout regime to see if it really will give my abs a good workout as it promises. I will also be trying out the below Holiday Squat-athon regime. As I said before, I need a kick up the bum and need to get it into shape. I have a couple of dresses that are too small at the moment, with the hips and bum area being the worst fitting area, so I really need to loose a good couple of inches off them, and hope this regime as well as my Festive Flat Tum Challenge will help tone my bum up so I can fit into the dresses by Christmas. It’s a big ask, but I’ve got to try! Squats are a great exercise move, and so simple! I’m going to try and get into the habit of doing my squats while brushing my teeth or while waiting for the kettle to boil… might as well make use of the time rather than stand still! I have also shared the poster next to the Holiday Squat-athon picture, as this shows you that you only need to do three simple moves often to workout out your whole bum and get a lovely toned one for Christmas! So aim to do the squats mentioned in the Holiday Squat-athon picture, but also incorporate lunges and jumping jacks into your fitness regime to get that perfect peachy bum! How has your week been… inspiring or disappointing? Are you going to join me in the Holiday Squat-athon? Or are you still working on my Festive Flat Tum Challenge? 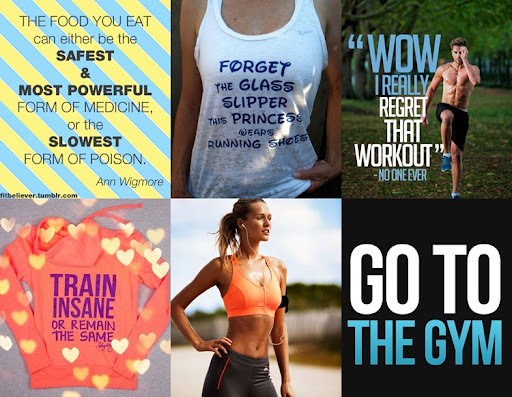 Where do you get your fitspiration from? I love Pinterest for inspiration! I'm forever pinning things onto my boards 🙂 I also like following people on Instagram because their pictures keep me motivated! I've had a lazy 2 days this weekend as I am away but eating had been on track – ready to get back to it on Monday! Ah this is so inspiring!